One thing I have been getting a fair amount of questions on is the Zipper pulls I have been attaching to all of my current review/EDC packs. 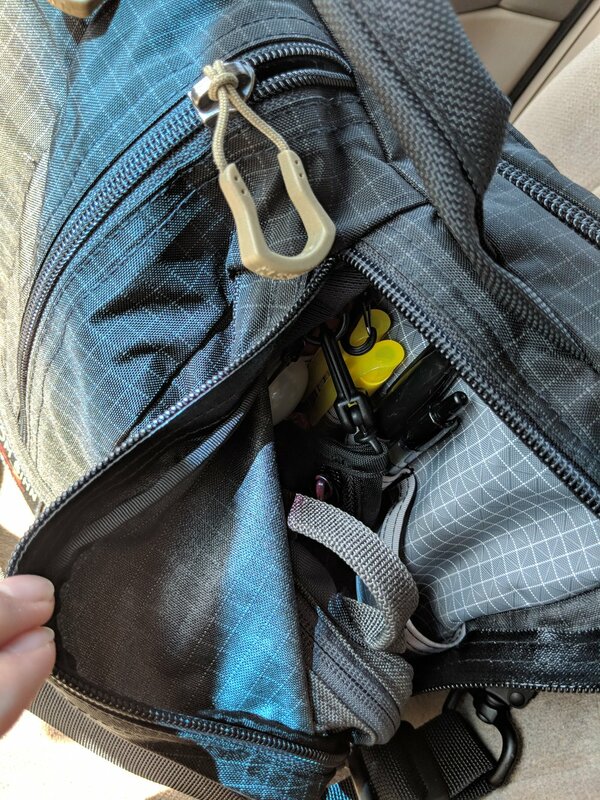 I use to attach Paracord wrapped in heat shrink like what Goruck has on their bags. It is still a great method it just takes quite a while to get them how I want them and I kept needing to buy more of the materials on Amazon. I recently found some Zipper pulls from a company I have worked with before, Vanquest. You can get the pulls directly from their site or on Amazon which I have been using for the 2-Day shipping. Normally I clip the current metal YKK pulls off with my Raptor Trauma shears and then feed the Vanquest pulls right through the hook on the remaining zipper. This gives great access and visbitlity to the zipper. They come in Black, Grey, and Coyote. So far I have only used the Coyote as I love the look. Pictures are below and thanks for the questions!